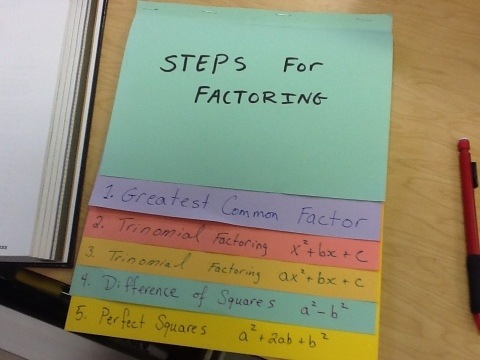 While we learn factoring techniques we will keep examples and notes in our Factoring Foldable. As we learn each new technique students will add those examples to the foldable. 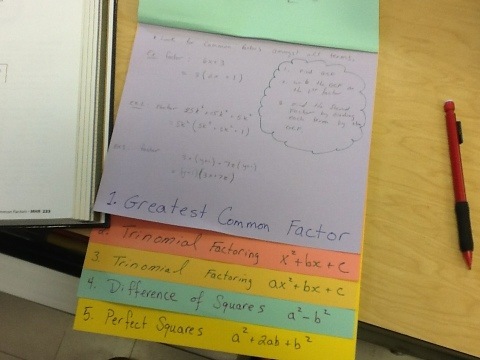 Update [Oct 28 2014] – Students are loving this foldable……some even enough to keep it year after year. 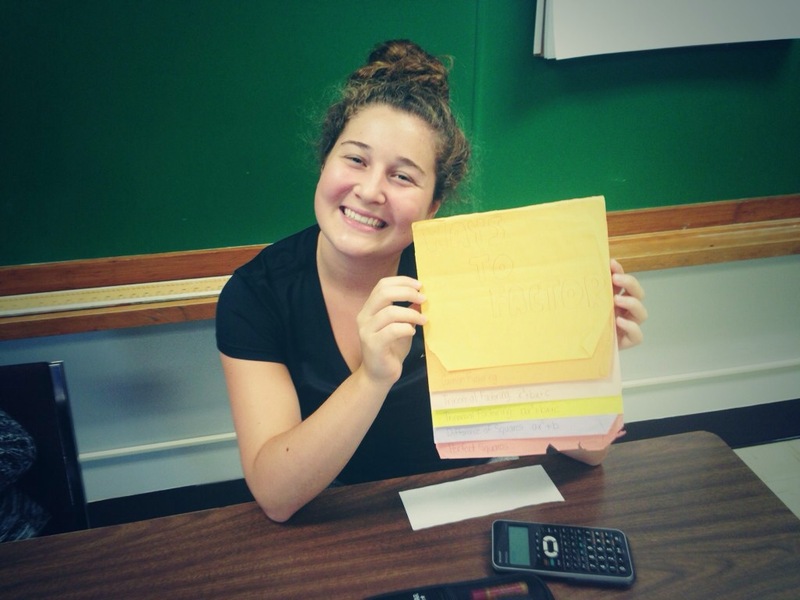 Here is one of my NOW returning grade 12 students who has kept her foldable for the last three years. I teach Algebra 2 and my students are always struggling with factoring. The notes we have used are massive and too overwhelming. Do your students struggle? Could you send me pictures of your foldable so I can see how you teach it? This is the only picture i have right now……I had the students create their own examples as we learned new techniques. Did you get more photos?  I’ve just found this and would love a copy.